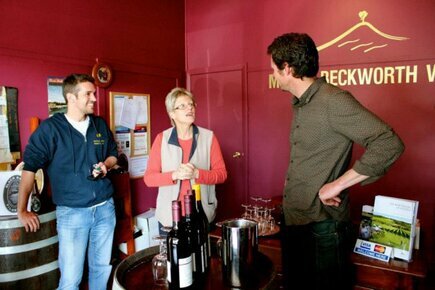 Daylesford Wine Tours offers unique boutique winery experiences in the beautiful Daylesford Macedon region. Choose to explore 3 cellar doors or 5 cellar doors, or partake in a delicious lunch tour with Australian actor Clayton Watson and his faithful labrador Maizy. These tours are ideal for all wine enthusiasts, whether you are a connoisseur, organising a corporate event or simply wish to celebrate a special occasion with your loved ones. 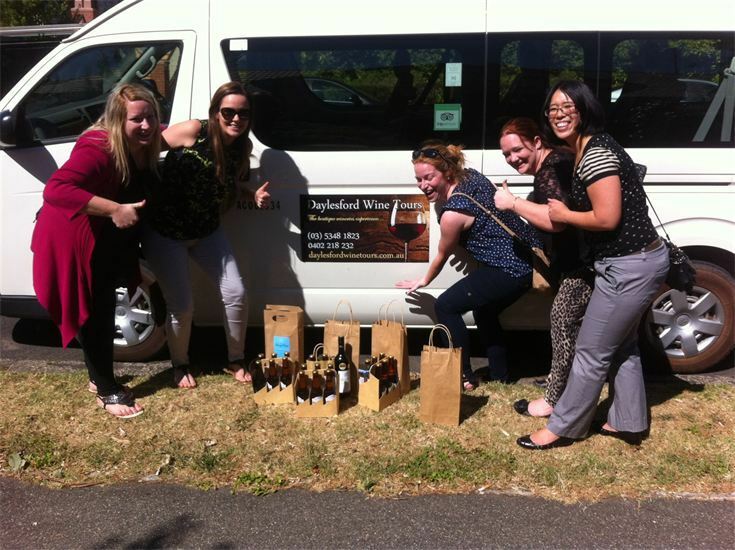 Each tour can be tailored to your preferred tastes as well - simply let the friendly Daylesford Wine Tours team know what you enjoy and they'll design the perfect wine tasting experience for you. There are two main packages; these run twice daily, 7 days a week. Cruising through the scenic Spa Country to 3 winery, cidery or liqueur stops. An introduction to the region, the winemakers and their stories. Nibbles, water, and your choice of music (including your own!) for the ride. A guide on how to see, swirl, and sip if you wish. Pick up and drop off from The Royal Hotel or your accommodation on request. - Cruising through the scenic Spa Country to 5 winery, cidery or liqueur stops. - An introduction to the region, the winemakers and their stories. - A guide on how to see, swirl, and sip. - A gorgeous lunch including main meal and a glass of regional wine. - Your own music of course! - Pick up and drop off from The Royal Hotel or your accommodation on request. Other options you can choose from include the Wine & Dine packages, which consist of the Talk The Talk Tour matched with lunch or dinner. There are also lavish Wine, Dine & Accommodation packages to choose from. 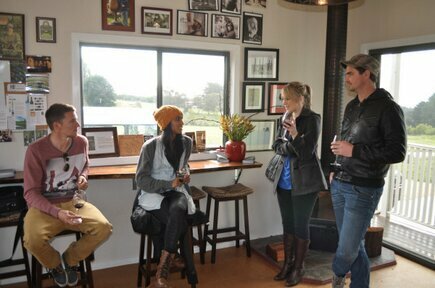 The Daylesford Wine Tours team also host special events throughout the year. To find out more about any of the tours or packages, simply contact (03) 5348 1823 or 0402 218232 or email clay@daylesfordwinetours.com.au. You can also access the convenient contact form here.